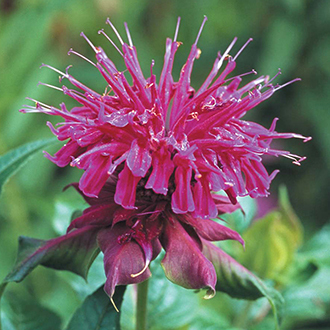 A much loved border favourite to provide some welcome colour from midsummer and into autumn. The large, shaggy purple to mauve flower heads are a magnet for pollinating insects who adore the nectar-rich blooms. Scented foliage. Plant in full sun in moisture retentive soil. • Flowers July to October.